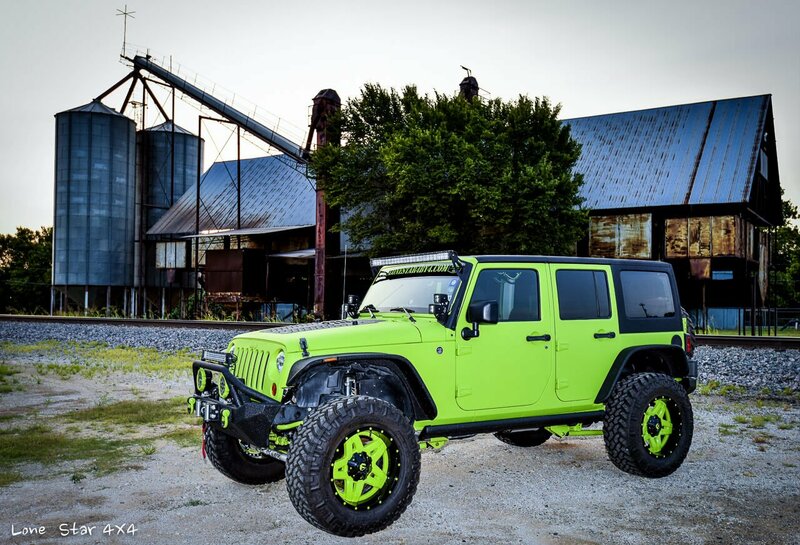 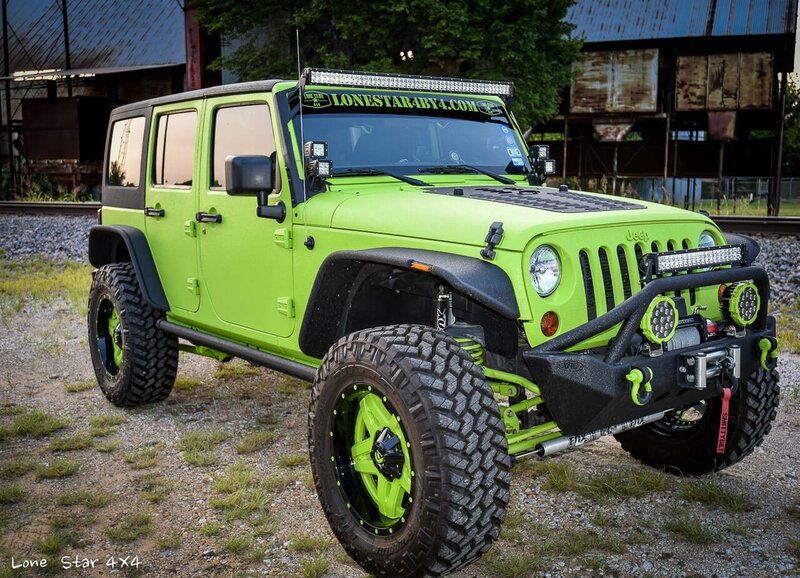 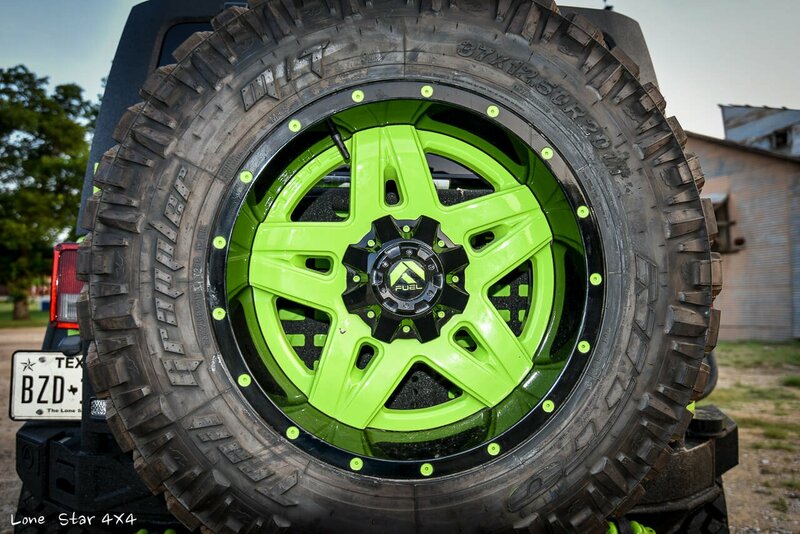 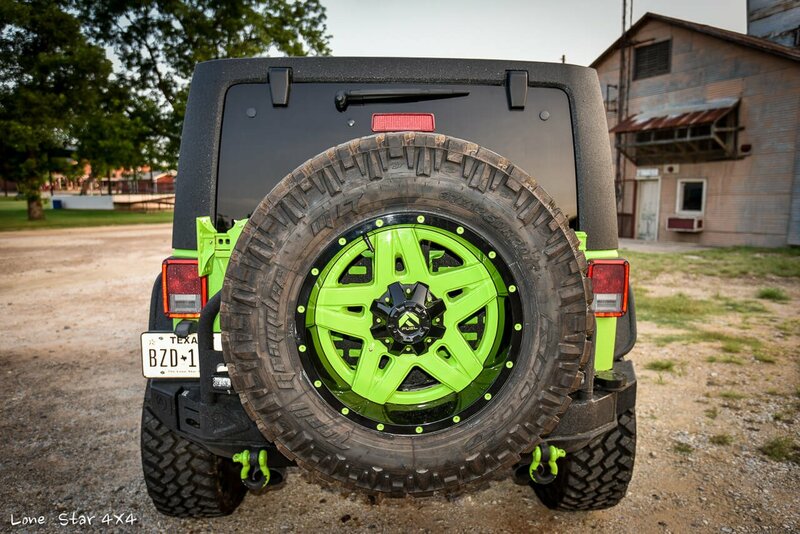 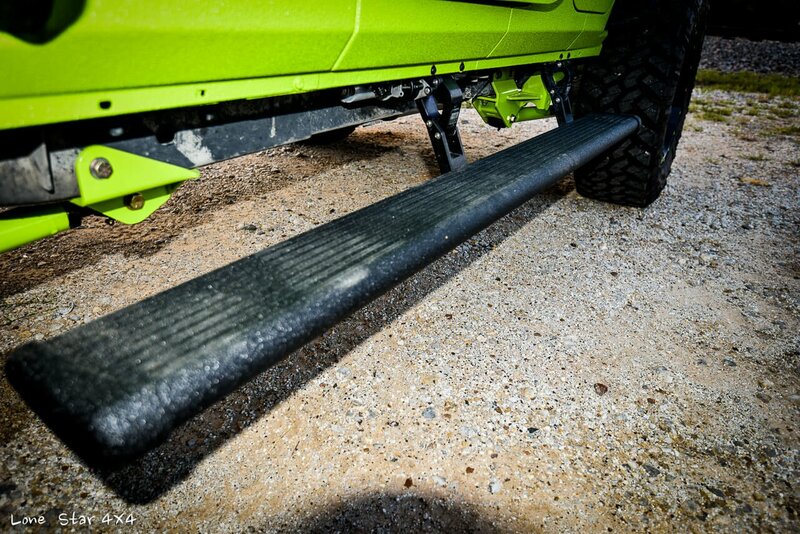 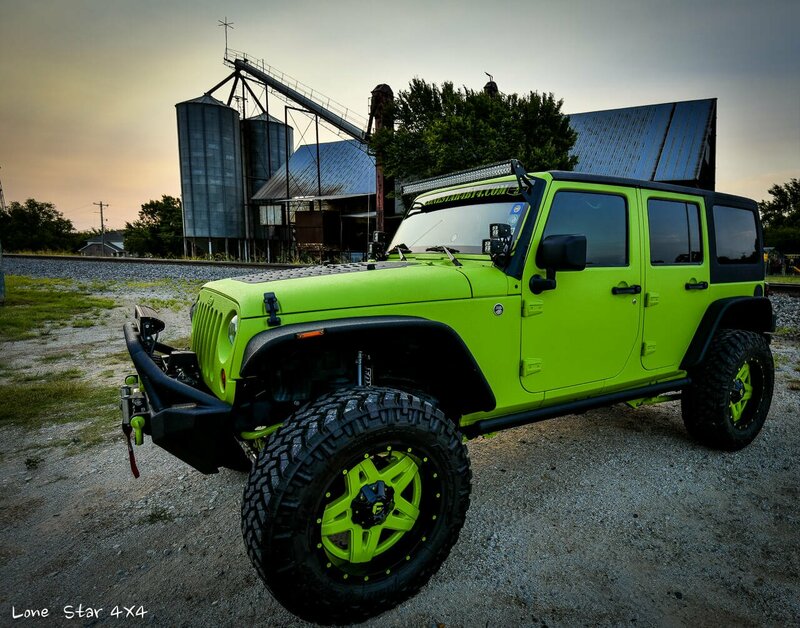 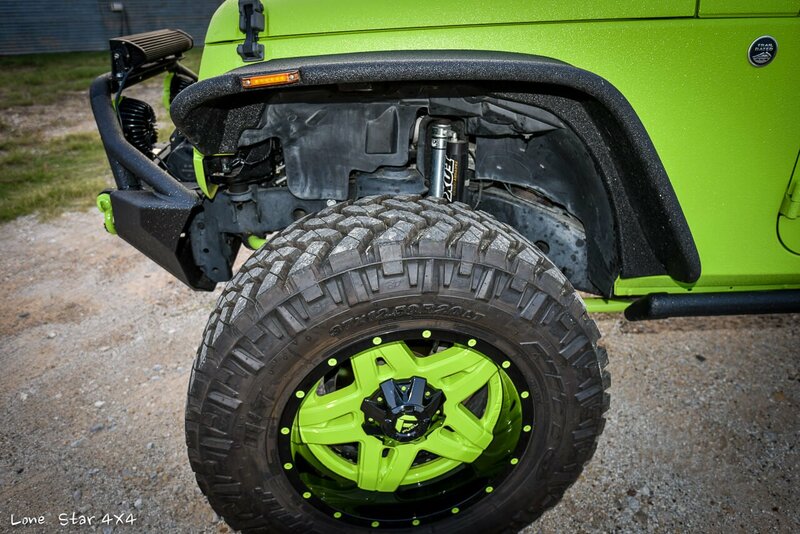 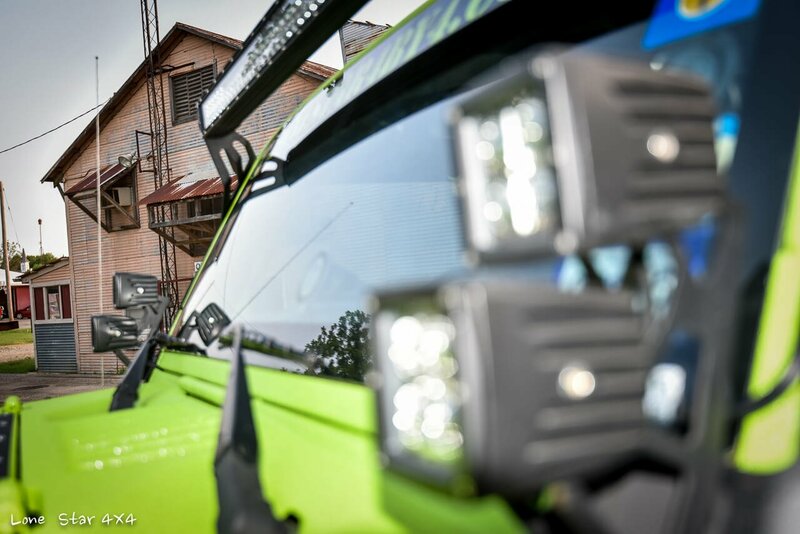 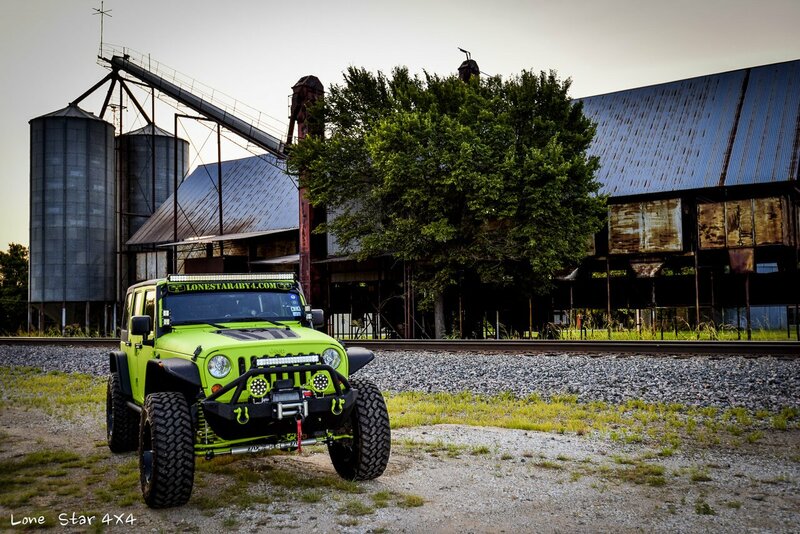 This Gecko Green custom Wrangler is sure to make an impact. 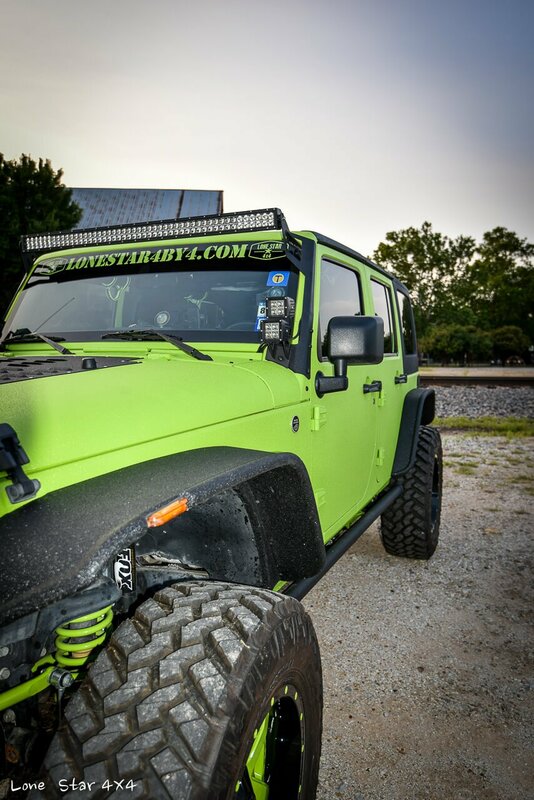 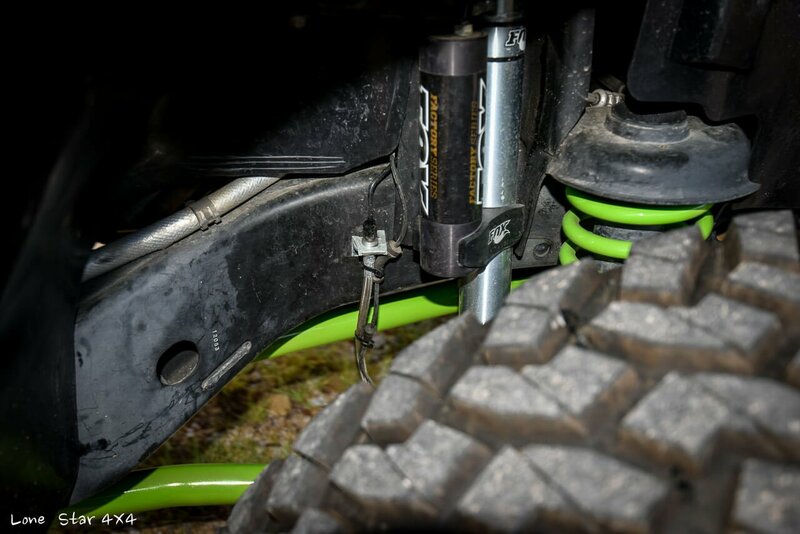 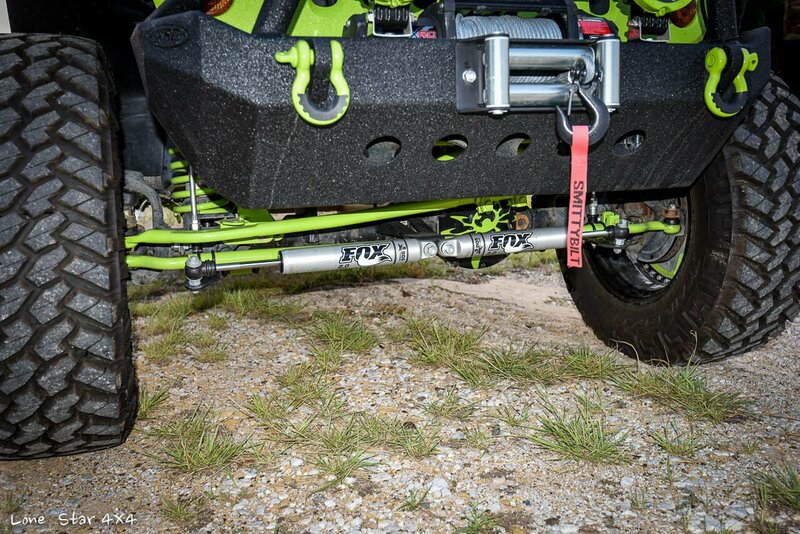 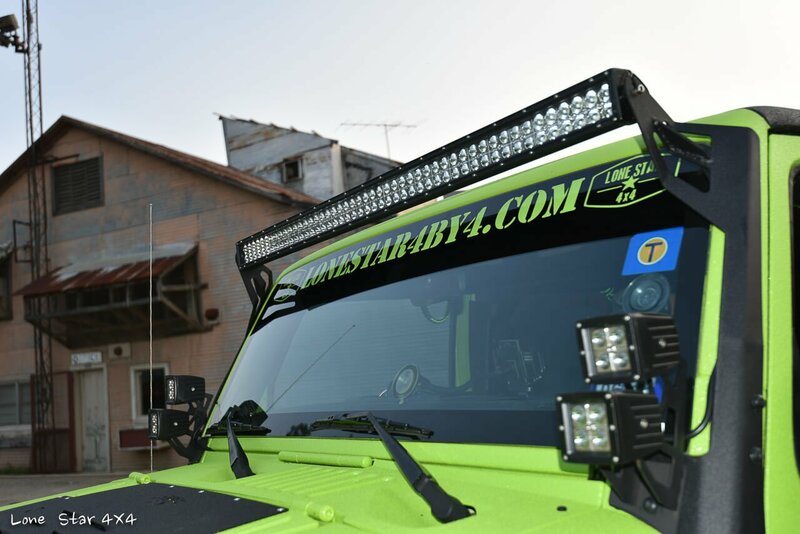 It comes complete with LED lights, dual exhaust, off road wheels and many other awesome features. 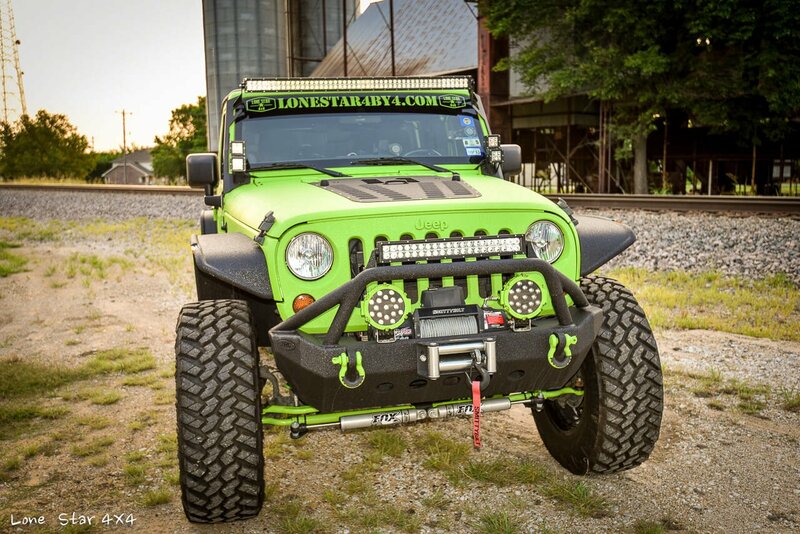 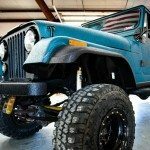 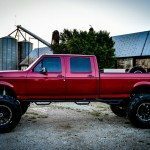 Lone Star 4×4 creates custom Wranglers like this one for customers all over North Texas. 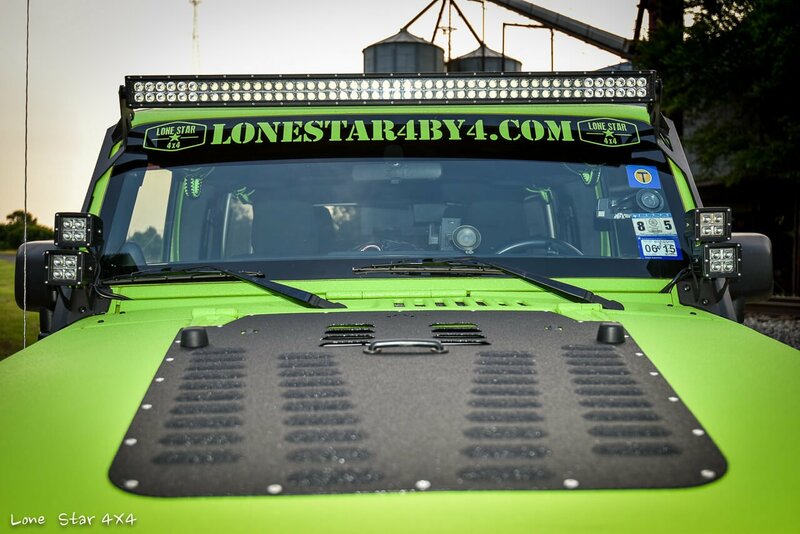 We serve cities including Southlake, Frisco, McKinney and many others, so check us out today!